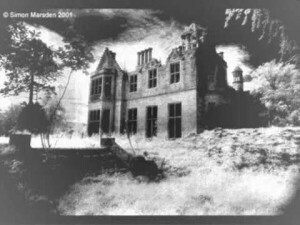 Sir Simon Marsden loved to use infrared photography to photograph the old ruins of castles, churches and more. He took us on an atmospheric journey of the senses through his lens, or eye on his world. Watch a video presentation of some of his best work! 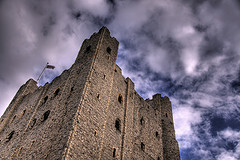 Castle Keep is believed to be one of the most haunted castles in the UK. It sits on top of the original structure that houses ancient Roman ruins, as well as a cemetery which had to be disturbed in the 12th century when the present structure was built. People were imprisoned, tortured and executed on this site. It is also known that purported witches awaited trial here. 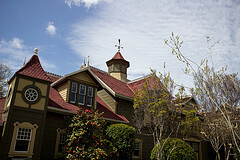 The Winchester Mystery House, a 160 room Victorian mansion, is also known as the house built by spirits. Construction began on this architectural wonder in 1884, and didn’t end until Sarah Winchester’s death in 1922. The house was under construction constantly during that time period. It was believed that only through continuous construction, would the spirits of the dead victims who died by violence at the hands of the Winchester Rifle, be able to rest. The house today offers public tours all year long. If haunted houses are your thing, I highly recommend you take a tour of this beautiful old Victorian house. You are sure to learn a lot of history in the process! The house is located in San Jose, California.